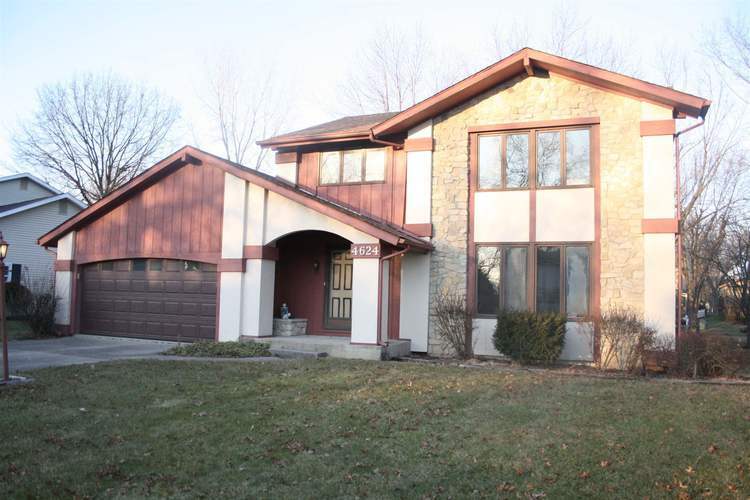 Check out this traditional 4 bedroom home on a FULL BASEMENT in sought after Arlington Park! Featuring almost 2000 sq. ft. above grade, this open concept layout has two living areas on the main level with kitchen overlooking the family room. Upstairs you'll find 4 bedrooms and 2 full baths, and downstairs there are storage areas and a separate WORK SHOP. Other amenities include newer flooring in kitchen/nook and entry, fresh paint throughout, high efficiency furnace, mature trees in backyard, and much much more. All this located on a quite cul-de-sac street that backs up to a walking path and is a hop, skip, and a jump to one of the many park areas. Arlington Park includes 3 association swimming pools, tennis courts, play grounds, miles and miles of walking trails, an executive golf course for a small fee, and a clubhouse. Directions:From Stellhorn, turn north onto Arlington Parkway. At "T", turn left onto West Arlington Blvd., turn left onto Collbran Dr. Home will be on left.